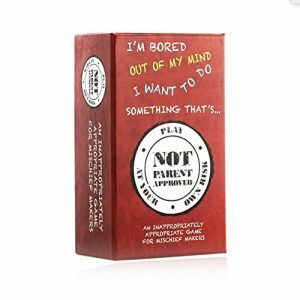 Not Parent Approved | ChicagoNow selected Not Parent Approved as a “Favorite Gift for Older Kids & their Families”! They say we’re “Great for those who like to giggle”! And who doesn’t love to giggle? It’s National Game & Puzzle Week! It always takes place in the U.S. during Thanksgiving week, when families are gathered and ready to play together. It’s also when many people are shopping for holiday gifts, and games make a great gift. The family time that happens when playing them is priceless. 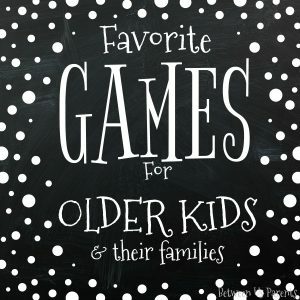 Here are some of our favorite games for teens and tweens and their families. It’s like a family-friendly version of Cards Against Humanity! I love that there’s a ton of laughter when playing it. (I thought perhaps it was just us, but the comments on Amazon all mention laughing, too.) The game was a 2016 National Parenting Product Awards winner. It’s a card game so easy to take along when traveling, and great for groups.